I am professing for the umpteenth time here that I love baking. Since, I bake egg less, I am always in the lookout for good egg less recipes. 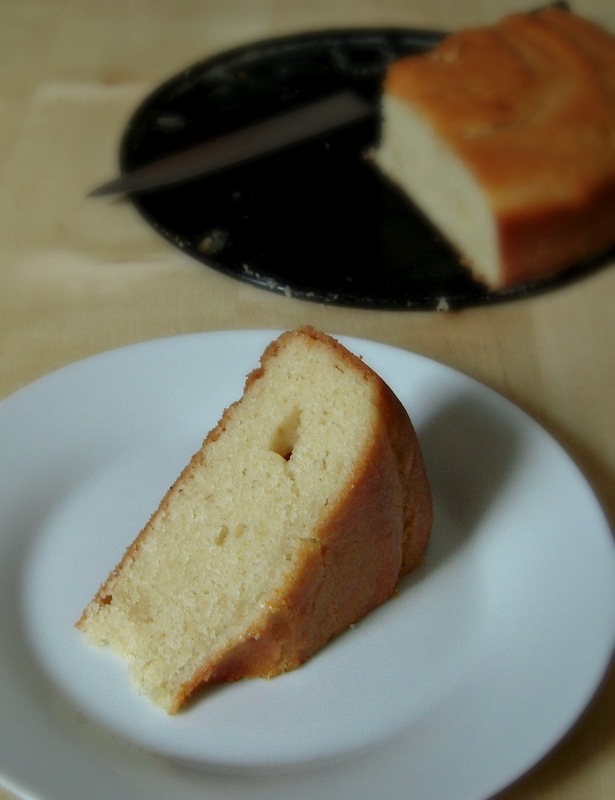 This egg less vanilla cake is one of the popular ways of making an egg less sponge cake. This recipe originally by Nita Mehta has been blogged by many bloggers and every one is all praises for it. I have baked it many times and am posting it today from my drafts. It's high time I am out of my blogging slumber! This is my second favourite way of making vanilla cake next only to this one. 1. Preheat the oven to 180 deg C for 10 mins. Grease a 9'' round tin and dust it with flour. 2. Sieve AP flour and keep aside. Cream the powdered sugar and yogurt until sugar completely dissolves. 4. Now add in vanilla essence and oil and whisk. Slowly add the AP flour little at a time and blend with wet ingredients. Beat well till creamy and thick. It will take about 2-3 minutes. 5. Pour the batter prepared tin and bake in the pre-heated oven for 10 minutes at 180 degrees. Then reduce the temperature to 160 deg C and bake it for another 35-40 mins. 6. The cake is done if a skewer inserted in the center comes out clean. 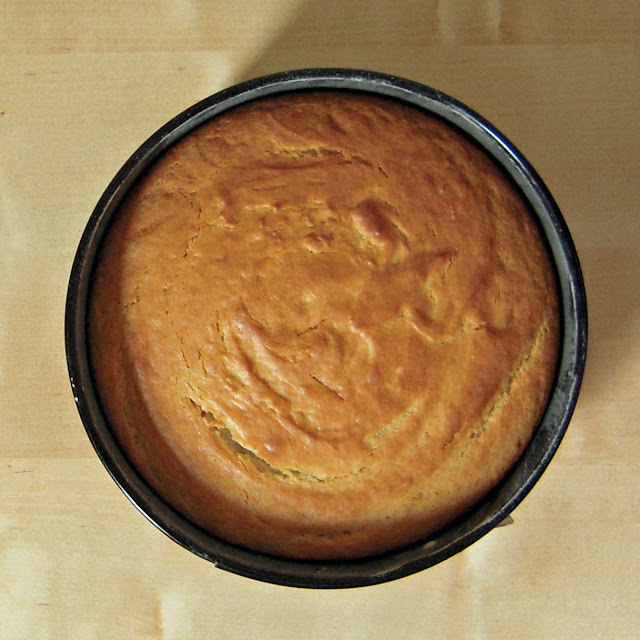 Allow the cake to cool down for 10 mins, then invert it into a serving plate. When the cake has completely cooled down, slice them into pieces. Enjoy! - The Slices are firm and neat if the cake it cut after cooling for 4-5 hours. - You can replace the oil with equal quantity of butter. - In the recipe it is baked at 200 C at first and then at 180 C. But, I found my cakes turns brown and hard at that temperature. So, I lowered the temperature to 180 C and 160 C and baked it 5 minutes longer. So, adjust the temperature as per your oven. so soft and spongy eggless treat!!! love this version with thick curd!! This is one of the bestest eggless cake that I have tried.....comes out so well na? 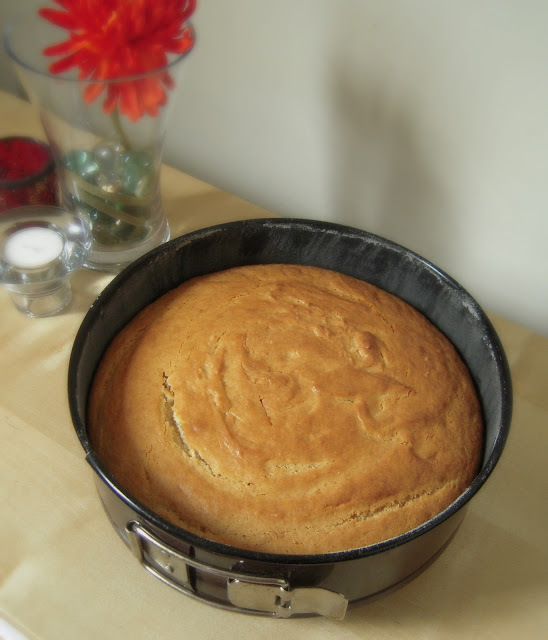 Super spongy cake,i do this eggless version quite often. My family fav cake anytime...thanks for trying! please let me know that the qty u gave for flour curd and oil ,all has been taken by single cup? Fantastic cake! So soft and moist! You have a lovely blog! OTGs tend to get very hot. Heat it to 180 degrees, then reduce the heat to 110 and bake on bottom heat only for 30 mins. If you want the top to brown a bit at the very end turn on top heat just for 5 mins max. less time to cook than stated in the recipe. I tried this recipe and believe me it was the best eggless Vanilla Cake I've baked ) I threw in a couple of cranberries and cashew pieces to add value. Just perfect. Have tried it so many times....eveeytime comes out nice and soft...and yummy too.. Tried end no of times..everytime comes nicely...love this recipe...thank you. Gave it a try came out okay except it was too moist. Wondered what I did wrong it was tasty but texture of a pudding. using granulated or powdered sugar - both are ok. but when using granulated sugar make sure that the sugar is nicely dissolved as you whisk it with a whisk. Ideally, let it cool completely for a couple of hours. wrap it in a cling film overnight and frost it the next day. soak the layers in some amount of sugar syrup before frosting. Hi Jyoti, I think this recipe makes the best eggless cake that I have ever tried! It came out super soft and moist which is difficult usually! Thanks for a great recipe.I actually added some rhubarb to it and it was yummy. can you please describe ingredients in metrics measurements? Or how many grams or ml for 1cup?